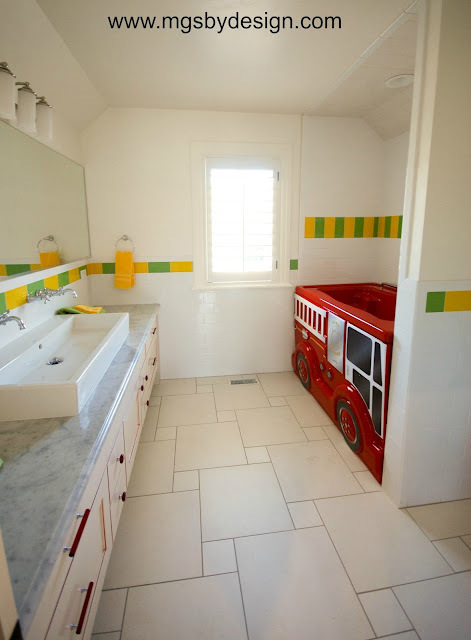 I'm still working on showing you guys all of the pictures from the Parade Home we did this summer. This was a big house, so I'm breaking it up into quite a few posts. 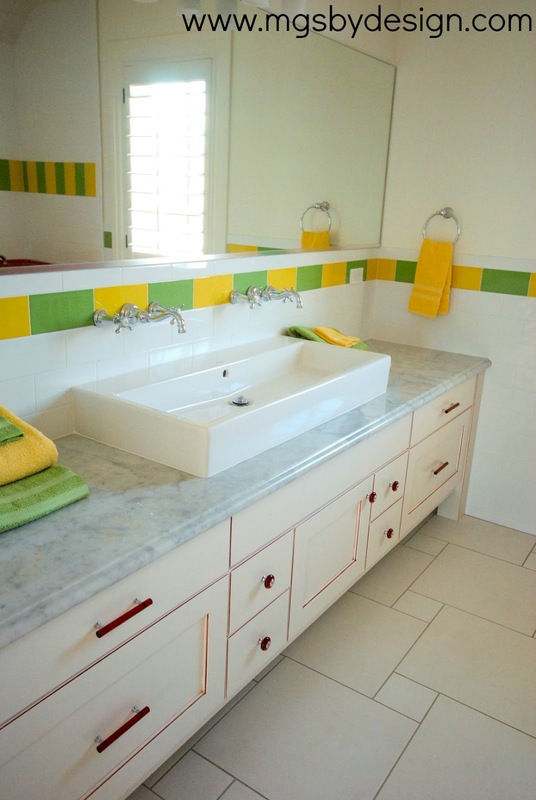 This home is gorgeous, so take the time to catch up if you need to. 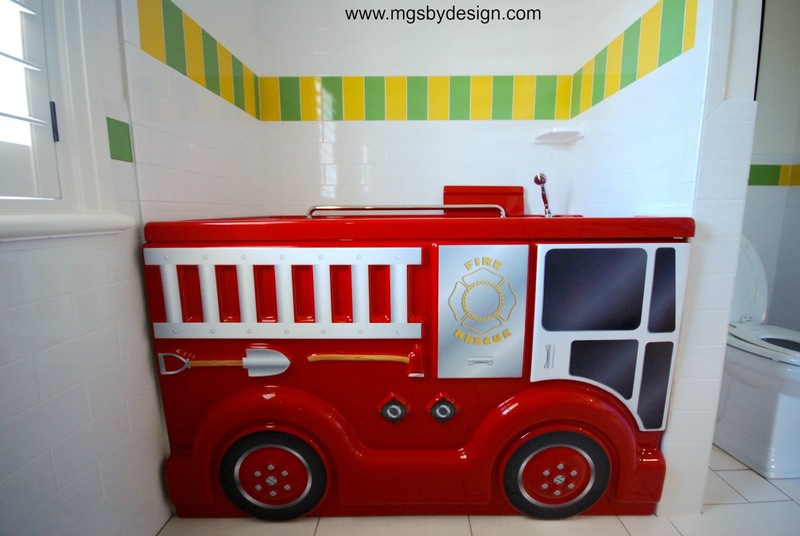 Today we are on to the Grandkids Bath. That's what I'm calling it anyway and you'll see why. While working on this job I always referred to it as the 'Loft Bath', so when I went to the home to take pictures after it was all finished I was so surprised by this adorable bath! Yep, that's a firetruck bathtub! Of course I love the Carrara marble and the fun yellow and green accent tiles, but that firetruck bathtub was such a fun surprise to me! I'm a 30-something year old woman that was excited to see this tub.....think of how much their grandkids probably love it? We did the polished Carrara marble countertop on the vanity. 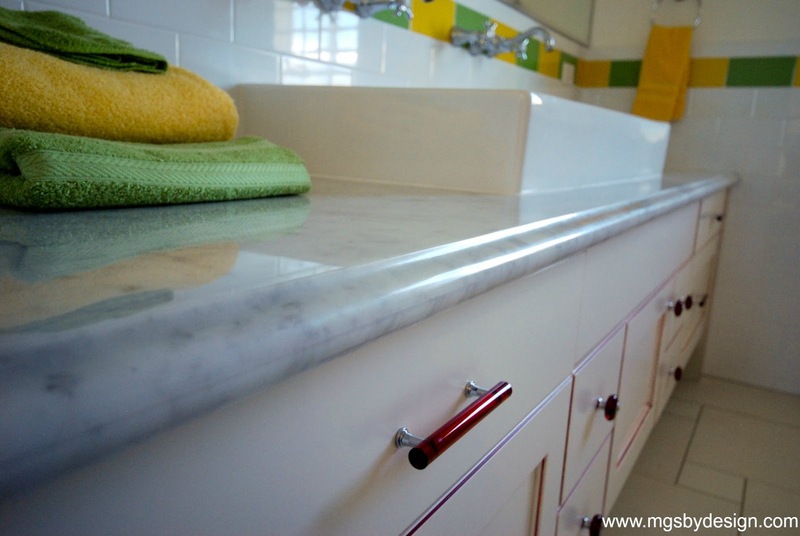 The edge detail is the 1 1/2" Ogee Bullnose. Thanks Kelly! 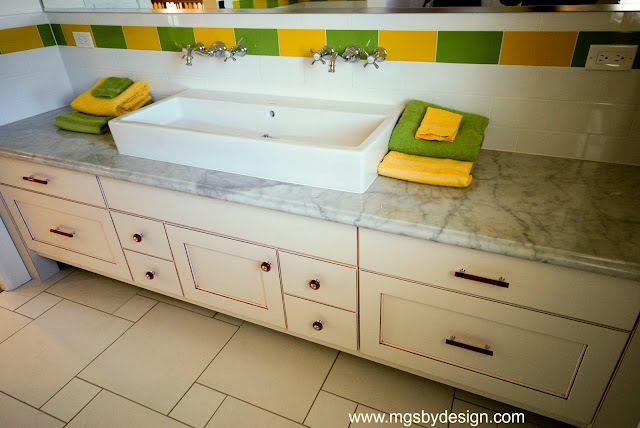 I just loved this fun bath. 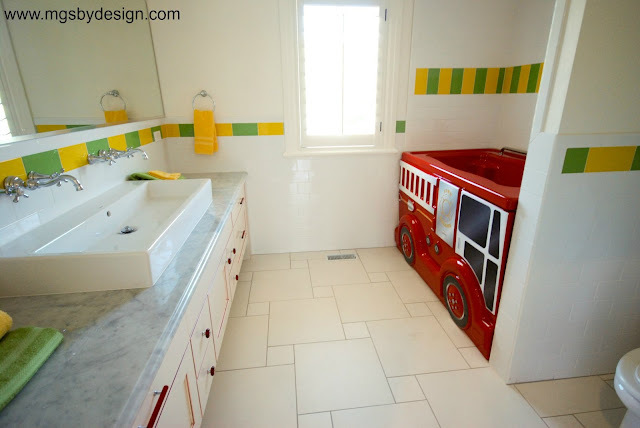 Firetruck bathtub?!? Get out! What kid wouldn't love that? Great bath. 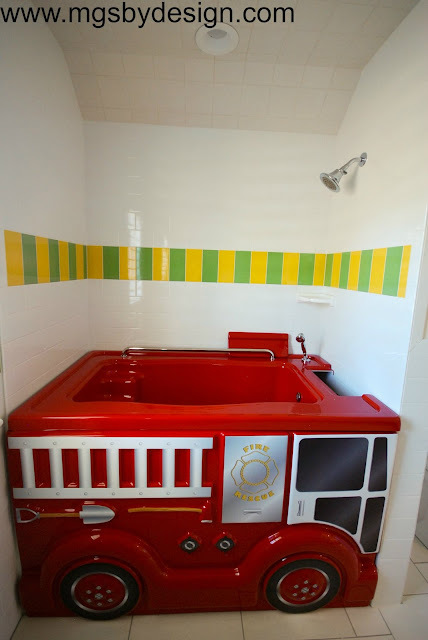 I love that it's called a Grandkids Bath. You guys did great work in this home.